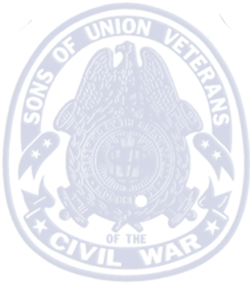 The Sons of Union Veterans of the Civil War (SV/SUV/SUVCW) was established by the Grand Army of the Republic (GAR) to perpetuate the memory of the sacrifices of Union soldiers, sailors, marines, and revenue cutter service members of the Civil War. 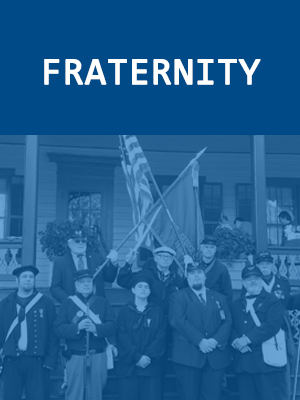 It is a national organization composed of direct male descendants of those who served, although males who are not descendants may also join as Associate Members. Designated by the GAR as its successor organization in 1931, and chartered by Congress as a charitable, educational organization in 1954, the SUVCW continues the patriotic work of the GAR. Each member is sworn to carry on the ideals of patriotism and fraternity laid down by his ancestors. The basic level of organization of the SUVCW is the camp headed by a Camp Commander. The next levels are the State Department and National Headquarters. 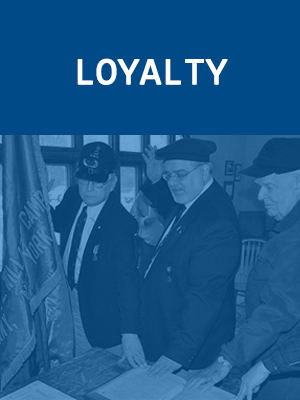 The Sons of Union Veterans are based on the principles of Fraternity, Charity and Loyalty. This has long been our motto, inherited from the G.A.R. In fact, some Civil War era grave markers include FCL on them denoting the motto. 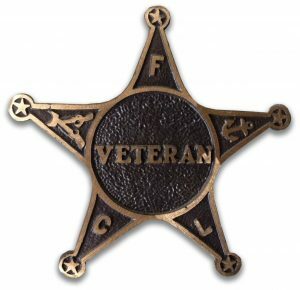 The Willard Camp performs such civic functions as restoring Union veteran graves, Civil War monuments, monitoring cemeteries condition of veteran’s graves, and other patriotic works including annual Memorial Day ceremonies and observances. Our Camp is based in Albany NY, however our monthly meetings are currently held at the senior center in Watervliet, NY. As we have for over a hundred years, we continue to serve the Capital District and surrounding areas. 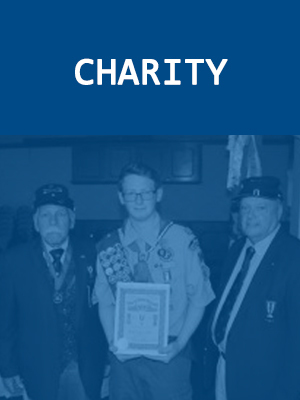 We do this through living histories, memorials, parades, educational displays, and Eagle Scout and ROTC awards, and educational scholarship. We work hard in our local community to keep green the memory of the Boys in Blue, our forefathers, the veterans of 1861-1865. 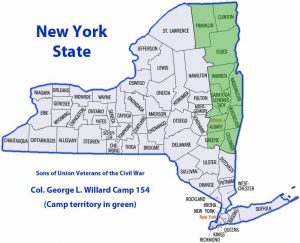 The Col. George L Willard Camp spans a territory in the northeast of New York State as seen on the map to the left, including the counties: Albany, Clinton, Columbia, Essex, Franklin, Greene County (parts of), Rensselaer, Schenectady, Saratoga, , Warren, and Washington. 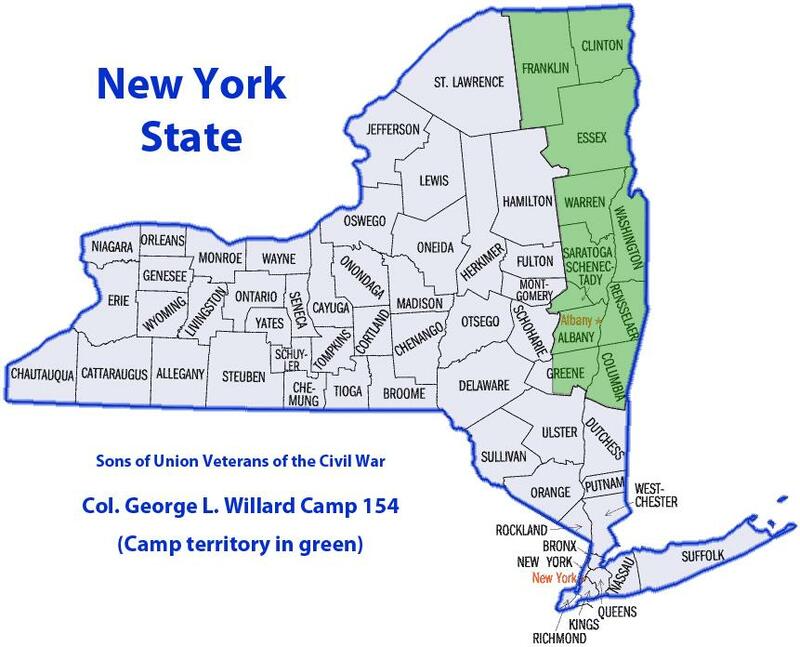 To locate a local Camp in another county, visit the Department of New York SUVCW’s website.